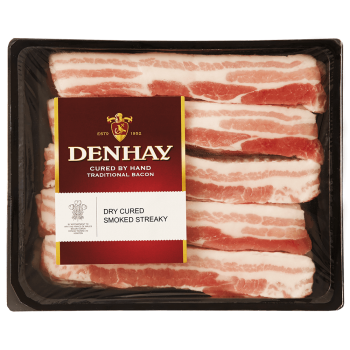 At Denhay we’ve been using traditional methods and our own special curing process to produce hand crafted bacon for over 20 years. Founded in 1952 by two farming families, our passion is to produce the finest quality, best tasting produce the South West can offer. We hand cure only British, outdoor bred pork by hand, slowly maturing it before slicing. Our traditional methods ensure our bacon rashers are both succulent and wonderfully full in flavour. ‘Bacon as it used to taste’, our customers tell us. During our journey, we’ve won over 100 awards and accreditations for our bacon and gammon. In 2008 we were honoured to be appointed Bacon Curer to HRH The Prince of Wales. The Royal Warrant, alongside our Denhay coat of arms, guarantees only the highest quality. 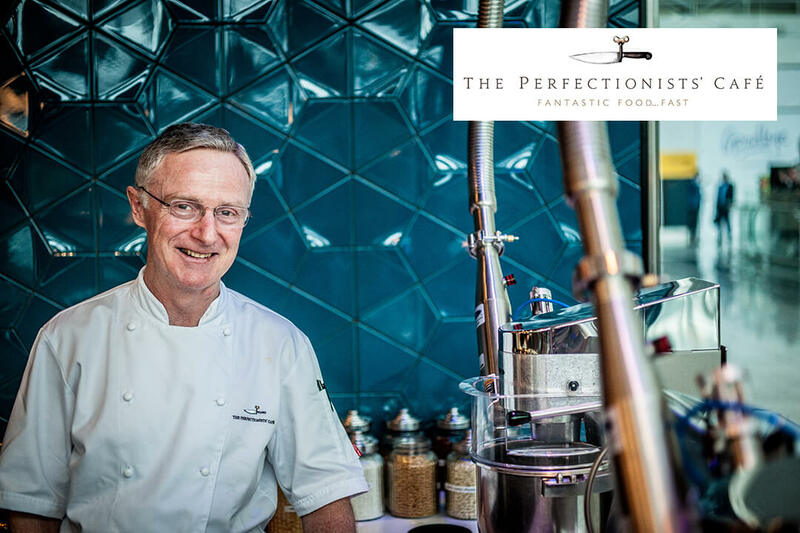 Julian O’Neill is head chef at The Perfectionists’ Café at Heathrow Terminal 2, part of Heston Blumenthal’s Fat Duck Group. Inspired by the ground-breaking ideas Heston explored in his TV series In Search of Perfection, Julian and his team have transformed British favourites such as fish and chips, burgers and the hearty full English. Using only the best quality ingredients and often spending months meticulously researching and tweaking dishes before they make it onto the menu, The Perfectionists’ Cafe offers exceptional food with a playful twist. Our years of experience mean that we are able to offer bacon perfectly suited to your business needs. 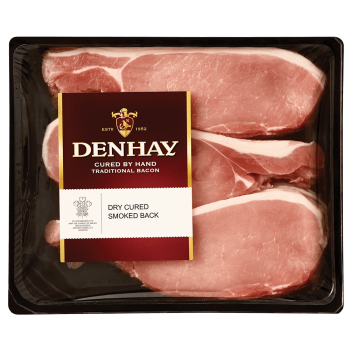 We’re now pleased to be working with the best Restaurants, B&B’s, Boutique Hotels and Event caterers, offering Denhay bacon in 1kg packs for next day delivery. Please visit our Denhay Direct website to place an order or call us on 01404 518712.